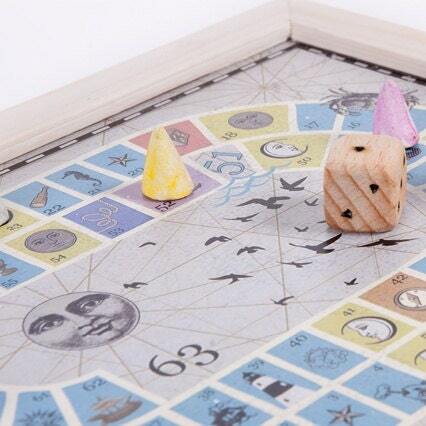 This "Game of Moon" is actually the Game of Goose with a very original desing because it's made with nautic motifs and, instead the usual gooses in the board, we find the different phases of the moon. 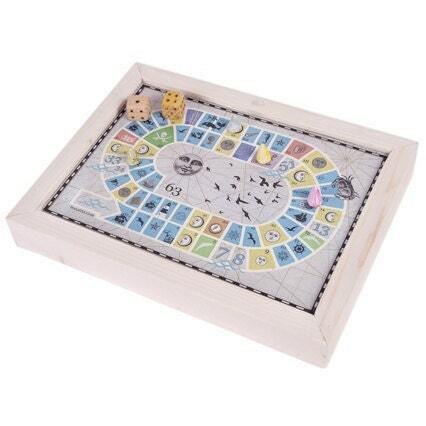 The board game, handmade in wood and decoupage, has a vintage wood frame in off white. The dices are also handmade in wood, and the counters are color pieces. The board also has a rear storage system to store the parts and instructions. 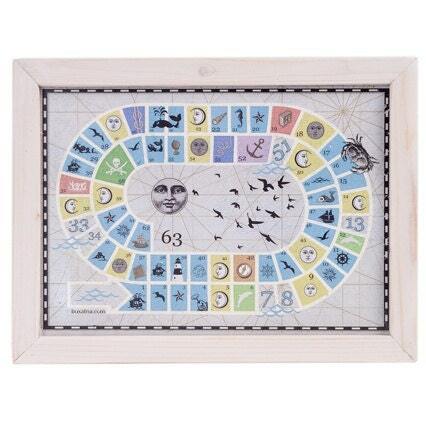 A beautiful present for little pirates and sea lovers, perfect to play and decorate any room.